Venice Card, Museum Pass is Worth? There is so much to see in the beautiful city of Venice. Doing so is made easier, and more cost effective, with a city attraction skip-line pass. There are three main options for passes, all of which include some of the same churches then add extra major sights and museums. Transport too is a major consideration in Venice as the water based network can be quite expensive if you don't plan ahead with a pass. We have researched all the attractions and transport pass options like Venice Card, Venice Museum Pass, Chorus Pass, Transport Ticket and describe these here for you. For certain with any of these passes you will make good savings on your explorations of Venice! Access to the top churches and museums of Venice along with free public transport. No extra discounts on special tours, restaurants, and shopping. Access to the top churches and museums of Venice with a long validity. Free Access to top 16 churches of Venice. Access to free unlimited access to public transport in Venice. This pass gives access to St Mark's Square Museums and includes the Chorus pass covering the top attractions of Venice. Includes with free public transport. This pass is worth only if you can visit a lot of attractions in a short period. It is perfect for those who want to want to explore Venice at their own pace, on one or multiple visits. Chorus Pass is a cheap pass which is worth if you visit more than three churches. A useful pass which allows hassle-free access to public transport in Venice. Can use public water transport to travel through the canals and visit the historic sites. After purchasing the pass, you will get a voucher in your mail which you have to exchange at collecting centre to get the Venice City Pass. Voucher print-out is mandatory. Voucher print-out is mandatory. Then collect your Venice Museum Pass. Voucher print-out is mandatory. Then collect your Venice Transport Ticket. 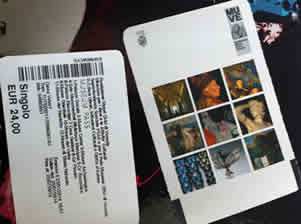 Where to Buy Venice Card? We are comparing the Venice City Passes Prices from leading online Tours and Ticket suppliers Tiqets, Viator, GetYourGuide & TicketBar, try to find you cheap tickets prices on the market. Where to Buy Venice Museum Pass? Where to Buy Venice Chorus Pass? Where to Buy Venice Transport Ticket (Pass)? 1. Venice Chorus Pass is Worth It? Get the Venice Chorus Pass to see all 17 Venetian churches with the Chorus Museum's scope. This Pass grants you entry to see the masterpieces of Venetian art on display. Explore on foot or use canal taxis and buses to see these amazing places in Venice on your own. This Venice Chorus Pass also comes with an optional free evening concert if you wish to relax and enjoy the evening concert by Interpreti Veneziani, a famous group in Venice known for playing classics by Mozart, Handel, Bach and Vivaldi at the Church of San Vidal. Discovered the deep history and heritage of sacred monuments in Venice. Marvel at the magnificent religious architecture, admire Pietro Lombardo's marble work at the Church of Santa dei Miracoli, Tintoretto's “The Last Supper”, The Church of Gesuati (the biggest complex built in the 19th century), and many more. See Venice with a Chorus Museum Pass and an optional concert. Explore up to 17 churches in the Chorus region. Explore the secret part of Venice at the Church of Sant'Alvise. Admire magnificent artworks painted by legendary Venetian masters like Bartolomeo Vivarini. Admire Pietro Lombardo's marble masterpiece at the Church of Santa dei Miracoli. Enjoy a 1/5-hour Interpreti Veneziani evening concert. Listen to the famed ensemble perform Vivaldia's - \98The Four Seasons' and more at the Church of San Vidal. You get to enjoy a 1/5-hour Interpreti Veneziani evening concert at Church of San Vidal with you Venice Chorus Pass. With the Venice Chorus Pass, you get discounts on attractions and leisure activities. Where to Buy Venice Chorus Pass Tickets? How Much is a 1/2/3 Day Venice Chorus Pass? We are comparing the Venice City Passes Prices from leading online Tours and Ticket suppliers. The Venice Chorus Pass lets tourists discover many of the churches in Venice, 15 most beautiful buildings, and an optional evening concert if selected. Explore the churches in and out to see the beauty and enjoy the churches' arts and architectural works. See magnificent works of art conceived and painted hundred years ago by legendary artists from a 1,000-year-old history of faith in Venice. Venice is home to some of the most beautiful and important artistic works handed down from generations by ancient rights in the world, some of these art masterpieces are unique sculptures and paintings that exist only in Venice. 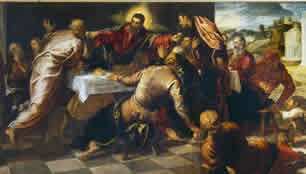 Wind around in the secret parts of Venice and admire the creativity of Pietro Lombardo's marble work at Church of Santa Maria dei Miracoli, Tintoretto's “The Last Supper” and many more. Explore this city at your own pace with the Venice Chorus Pass which also gives tourists ship-the-line entry at the busiest churches and attractions. Is The Venice Chorus Pass Right for Me? This Venice Chorus Pass is right for you as it lets you explore and admire 17 of the most beautiful churches and religious architectural masterpieces in the city. You get to see Tintoretto and Rubens' paintings up close at the Church of Santa Maria del Giglio, Dominican structures and learn more about Venice. Home to canals, some of the most incredible religious buildings in the world, masks, and gondolas, Venice is a place to see. With your Venice Chorus Pass, you get entry to the biggest complex of the 19th century 'The Church of Gesuati' is this magical city which was built between 1726-1735. Look up the ceiling of the complex to see the 3 frescoes "The Glory of St. Dominic", "The Apparition of the Virgin to St. Dominic" and "The Institution of the Rosary" Marvel at Pietro Lombardo's marble work at the Church of Santa Maria dei Miracoli, Tintoretto's "The Last Supper", and more. Save your time and money during your sightseeing tour by relaxing for an optional evening concert by Interpreti Veneziani. 2. Venice Museum Pass is Worth It? Discover the best of Venice with a Venice Museum Pass. This pass gives tourists one single entry to all the top civic museums in Venice, except the Secret Itineraries of the Doge's Palace, the Clock Tower, and Palazzo Fortuny. Get your Venice Museum Pass at any of the museums listed on your pass. The pass is valid for a total of 6 months and can be used during each of the museums opening hours. Admire the treasures of the Doges Palace, marvel at the Murano glass in the Glass Museum and see the Lace Museum as well. Enjoy the waterbus ride through this water city's canal to feel the capital of romance and relax for a pasta dish. Access to the Doge's Palace and some of the most amazing museums in Venice. Marvel at the architecture of the Grand Canal's churches built along it, and the tiny back alleys. Explore the former Jewish ghetto of Venice and see the Ghetto Museum. See Casanova's cell at the Doge's Palace and other masterpieces of art. Explore Venice in 6 months at your own pace! Marvel at Murano glass work at the Glass Museum. See the intricate works of fabric at the Lace Museum. Free walking tours with skip the line at the busiest museums. With the Venice Museum Pass, you get discounts at selected shops, restaurants and attractions in Venice. How much is a 1/2/3 Day Venice Museum Pass? This Pass includes entrance to 4 St. Mark's Square Civic Museums, 1 ticket to the Jewish Museum, and 16 churches with a Chorus Pass. Note: This pass only admits one. We are comparing the Venice Museum Pass Prices from leading online Tours and Ticket suppliers. Exchange your vouchers for a Venice Museum Pass at: San Marco (open 06:30-20:00) Bucintoro Viaggi, Marco Polo Airport (boat departure pier - open 07:45-00:00) Giardinetti Reali, Stazione di Venezia Santa Lucia (open 08:00-20:00), and Campo San Luca (open 08:30-17:30). Doge's Palace, Correr Museum, National Archaeological Museum, and Biblioteca Marciana. Ca' Rezzonico, Carlo Goldoni's House, Mocenigo Palace, Ca' Pesaro (Modern Art Gallery and Oriental Art Gallery), Glass Museum (Murano), Lace Museum (Burano), and Natural History Museum. Chiesa di Santa Maria del Giglio, Chiesa di Santo Stefano, Santa Maria dei Miracoli, San Giovanni Elemosinario, Ca' San Polo, Basilica di Santa Maria Gloriosa dei Frari, San Giacomo dell'Orio, San Stae, Sant'Alvise, San Pietro di Castello, San Redentore, Santa Maria di Rosario, San Sebastiano, San Giobbe, San Giuseppe di Castello, San Vidal, and San Giacomo di Rialto. The Venice Museum Pass is a way to get tourists accustomed to the Venetian water city. With the Venice Museum Pass, tourists get to choose how they wish to explore Venice at their own pace. Enjoy Venice within the 6 months' duration of the Venice Museum Pass and see the 4 St. Mark's Square museums, the Jewish Museum, and 16 churches with a Chorus Pass. Enjoy discounts at restaurants, shopping, events and many more. Admire the architecture of the Doge's Palace, Glass Museum, Lace Museum and many more with skip-the-line entry. Get rides around the Venetian Canal ways on the waterbuses or taxis to further marvel at the city of romance. Relax for a pasta dish during or after the day's tour. Is The Venice Museum Pass Right for Me? This Venice Museum Pass is right for anyone who wishes to see the city of romance and admire its architecture. The Venice Museum Pass offers a whole lot of pleasurable and memorable experience to tourists. With this card, you can see the city's many museums and historic churches such the Doge's Palace, Correr Museum, National Archaeological Museum, Chiesa di Santa Maria del Giglio, Chiesa di Santo Stefano, the Ghetto Museum (former Jewish ghetto of Venice) with skip-the-line entry. You get to enjoy rides around the city's canal waterways using water taxis/buses with special offers and discounts at restaurants, shopping, and many more. This is the right way to experience Venice. 3. Venice Card is Worth It? Explore Venice with the Venice Card to ease off your expenses while on tour in this wonderful city in the Adriatic Sea lagoon. This card gives tourists free access to various historical important sights such as the Clock Tower, Ca'Pesaro, Ca'Rezzonico, Doge's Palace and all the sights under the management of Fondazione Musei Civici di Venezia. Enjoy major discounts at certain reputable festivals and events, shopping, nightlife, restaurants, bars, clubs and many more. Relax at the different beaches, bathing establishments, exhibitions, water taxi/bus tours through the lagoon, concerts and much more. Explore the sights and top attractions, cool off venues in Venice with a 24, 48 or 72-hour Venice Pass at your own leisure. Enjoy free rides through Venice's network of buses of ACTV and water taxis. Admire inside Doge's Palace, the former residence of the Venetian dukes. Gain more knowledge at the civic museums in St. Mark's Square about the Venetian Empire. to rides on the water taxis and buses. See the sights and historical monuments such as the Byzantine monuments of St. Mark's Square (Piazza San Marco) in Venice at your own pace. Tourists get to enjoy free rides through Venice's lagoon. With the Venice Card, you get discounts and special offers at museums, shopping, restaurants, top attractions and more. How Much is a 1/2/3 Day Venice Card? Note: The Venice Card with Alilaguna transfer enables tourists to enjoy round-trip from the airport to Venice Center/Lido and/or Cruise Terminal with Alilaguna's Blue, Red and Orange Lines. Passengers must use the round-trip tickets for a return journey within 30 days from the date of validation. You can meet other tourists at the Alilaguna ticket counters around Venice where you exchange your voucher at: San Marco (open 06:30-20:00) Bucintoro Viaggi, Marco Polo Airport (boat departure pier - open 07:45-00:00) Giardinetti Reali, Stazione di Venezia Santa Lucia (open 08:00-20:00), and Campo San Luca (open 08:30-17:30). Doge's Palace, Correr Museum (Museo Correr), Venice National Archaeological Museum, Biblioteca Marciana. The Chorus Pass grants you entry to 16 of the city's most amazing churches: Chiesa di Santa Maria del Giglio, Chiesa di Santo Stefano (Church of St. Stephen), Santa Maria dei Miracoli, Church of San Giovanni Elemosinario, Chiesa di San Polo (Church of San Polo), Basilica di Santa Maria Gloriosa dei Frari, Chiesa di San Giacomo dall'Orio, San Stae, Sant'Alvise, San Pietro di Castello, Chiesa del Santissimo Redentore, Santa Maria di Rosario, Chiesa di San Sebastiano (Church of San Sebastiano), Chiesa di San Giobbe (Church of St. Job), Chiesa di San Giuseppe di Castello, Chiesa di San Vidal, and San Giacomo di Rialto. The Venice Card is a combination of the best sights to see in this beautiful water city. Built on small islands in the Adriatic Sea, Venice has a lot of museums, monuments and other attractions to see. Choose between a 24, 48 or 72-hour ticket to enjoy free entry to historic sites like the Clock Tower, Ca'Pesaro, Ca'Rezzonico, Doge's Palace, festivals and events, shopping, nightlife, restaurants, bars, clubs and more with discounts. Relax in the evenings at beaches, bathing establishments, concerts, see exhibitions and get free rides in the water taxis/buses to explore the attractions along the lagoon. Get an additional Chorus Pass to visit 16 of the most magnificent churches in Venice such as Chiesa di Santa Maria del Giglio, Chiesa di Santo Stefano (Church of St. Stephen), Santa Maria dei Miracoli, Church of San Giovanni Elemosinario, Chiesa di San Polo (Church of San Polo), Basilica di Santa Maria Gloriosa dei Frari, Chiesa di San Giacomo dall'Orio, San Stae, Sant'Alvise, San Pietro di Castello, Chiesa del Santissimo Redentore just to name a few. Enjoy city-wide WiFi access and tickets to the best Venice Casinos! Is The Venice Card Right for Me? This Venice Card gives you the best of the city for a memorable experience with an airport transfer at your own leisure. Choose from a 24, 48, or 72-hour pass to get special discounts at restaurants, shopping, concerts, nightlife, bars, clubs, festivals, and events. You get to enjoy free rides around the city on buses or through its canals using its water taxis to see more for less. With your Venice Card, you will marvel and admire some of the top attractions such as the Doge Palace former home to the Venetian Dukes, Clock Tower, Ca'Pesaro, Ca'Rezzonico, and more. You can cool off at the many beaches in Venice or see special exhibitions, or concerts at your own leisure. There are a whole lot of things to do in this city, get adult tickets to gain access to the best casinos or an additional Chorus Pass to save time and money as you see over 16 magnificent churches in Venice. This is a special way of spending time in this water city. Enjoy Venice with the Venice Transport Pass which gives tourists access to all the city's Alilaguna boat transfers. 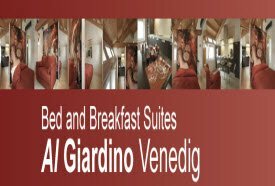 The Alilaguna connects Venice Cruise Terminal and Venice Marco Polo airport to the Lido, Murano island which enables tourists to navigate this water city in a fast, comfy and easy way. The Alilaguna 3 boat transfer lines have many stops in the city center which are listed on the Venice Transport Ticket. With a 24 to 72-hour Venice Transport Ticket, you get access to all 3 Alilaguna Transfer Lines (Blue, Orange, and Red Lines). Experience Venice on board the water buses (Vaporetti) to see the sights in Venice, the lagoon island and also buses in the Marghera, Mestre on the mainland. All stops are designed specifically for the safety of travellers and equipped with floating pontoons connected to the land. Exchange your vouchers for the Venice Transport Tickets at any of the Alilaguna offices located at the arrival hall and airport dockyard of the Marco Polo airport, Tronchetto (car park), the Cruise Terminal, Rialto (San Luca square), and San Marco square to start your tour. Travel around Venice fast and easy with one ticket to enjoy all public transport. Get on the water-buses (vaporetti) in Venice, the lagoon islands, and Lido, and also the buses on the mainland, in Mestre and Marghera. Choose between the 24, 48 or 72-hour tickets for the most memorable journey around Venice. Explore Venice by boat and see the most beautiful sights from the water. Choose from several departure points all through the day. There are no complimentary tours included in the Venice Transport Ticket. With the Venice Transport Ticket, you get special discounts and offers on your ticket. How Much is a 1/2/3 Day Venice Transport Ticket? 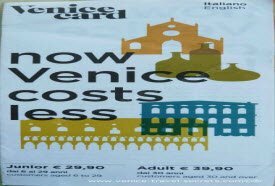 We are comparing the Venice Transport Ticket Passes Prices from leading online Tours and Ticket suppliers. The departure points for the Venice Transport Ticket includes the Venice Marco Polo Airport, Venice Cruise Terminal or St Mark's Square Departure. Starts from Venice airport at 6:15 am to 12:15 am every 60 minutes. is Seasonal (Apr to Oct). Marco Polo Airport, Murano Colonna, Fondamenta Nuove, Ospedale, Bacini, Certosa, Lido SME, Arsenale, San Zaccaria, San Marco, Zattere, Giudecca Stucky, and Cruise terminal (and vice versa). Marco polo Airport, Fondamenta Nuove, Madonna dell'Orto, Guglie, San Stae, Rialto, Sant'Angelo, Ca' Rezzonico, Santa Maria del Giglio, and San Marco (and vice versa). Marco Polo Airport, Murano Museo, Certosa, Lido SME, San Marco, and Giudecca Zitelle (and vice versa). The Venice Transport Ticket offers tourists access to all 3 lines of the Alilaguna Transfer Lines i.e the Blue, Orange and Red Lines. The Alilaguna lines connect to the Venice Cruise Terminal, the Marco Polo airport, Lido, and Murano Island together. These Alilaguna Transfer Lines helps by making life easy and fast for tourists, as it connects the city center with numerous stops that are safe for travellers to hop-off. Choose between a 24, 48 or 72-hour Venice Transport Tickets to enjoy these benefits. Get onboard the Vaporetti (water buses) and see sights in Venice, the Lagoon Island and use water other buses on the mainland (Marghera and Mestre). The validity of the Venice Transport Ticket depends on how many days you select either 1, 2 or 3-days. Is The Venice Transport Ticket Right for Me? The Venice Transport Ticket is right for anyone who plans to take a vacation in the city of romance. This transport ticket gives you unlimited access to the public transport (vaporetti and buses) in Venice for the duration of your choosing (24, 48 or 72-hours). With this ticket, you can use the waterbuses and buses in Lido, the lagoon island, Mestre, and Marghera on the mainland. You get access to all 3 Alilaguna Transport Lines (the Blue, Orange and Red Lines) which connects the city's Marco Polo airport and Venice Cruise Terminal, this means you get to start your travel around Venice right from the airport into the city for your sightseeing pleasures. You can exchange your vouchers to the Venice Transport Tickets right at the airport at any of the Alilaguna offices in the arrival hall and dockyard of the Marco Polo airport, the Tronchetto (car park), the Cruise Terminal, Rialto (San Luca square), and San Marco square. 1. Benefit of the card: The Rolling Venice Card has been designed specifically for younger tourists visiting Venice. Only those between the ages of 14 and 29 are eligible for this card. The card will allow you to enjoy discounts at over 200 different places including restaurants, cafes and stores. Additionally, it is priced quite low. 2. Restaurants valid: The Rolling Venice Card can be used at dozens of restaurants and cafes. Additionally, it can also be used at hundreds of stores as well as cultural venues. 3. Card price and validity: This card costs only € 4 and is valid until 31st December in the year it has been issued. 4. Online purchase: Rolling Venice Card can be only purchased in Venice. It can be found at most tourist information centers, HelloVenezia ticket offices as well as all 365 agencies. Valid identification is needed to purchase the card. 1. Benefit of the card: The Alilaguna Time Tickets will allow you unlimited use of all Alilaguna lines. This is particularly helpful for tourists because it includes lines that provide service from and to the airport. The schedules are very frequent and the 72 hour pass also allows excursions to Venetian islands like Murano, Torcello and Burano. 2. Transport valid: These tourist tickets are valid for use on all Alilaguna lines that include the blue, orange and red lines. 3. Card price and validity: The 24 hour Alilaguna Time Ticket is available for €30 while the 72 hour ticket is available for €65. Ticket will be validated on first use. 4. Online purchase: These tourist tickets can be purchased online in advance to plan the itinerary in advance. Once purchased, you will receive vouchers that can be converted to tickets at any Alilaguna Ticket Centre in Venice. Purchasing tickets online will also allow you to save a considerable amount of money because of special online promotions. 1. Benefit of the card: ACTV's Tourist Travel Cards offer the most cost effective solution for tourists who want to explore Venice. These cards offer unlimited travel and a lot of choice, based on the amount of time you plan to spend in the city. 2. Transport valid: The Travel Cards can be used for unlimited waterborne and land travel in urban Venice. However, journeys to and from the Marco Polo Airport, Mestre and Lido land services are not valid. 3. Card price and validity: There are several different options available in Travel Cards. A 12 hour card costs €18, 48 hour card costs €30 while a 7 day card costs €50. The card will be valid for the time you purchase the card for, from 12 hours up to 7 days. 4. 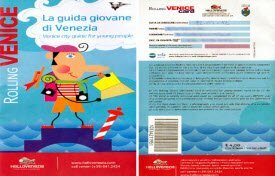 Online purchase: Tourist Travel Cards can be purchased online, at any of the self-serve ticket machines in the city or at HelloVenezia ticket stations.